I hope to send out SPOTD #114 before tomorrow's game, but if I don't have a chance before then I wanted to formally declare my support for the Gators in tomorrow's championship contest. I think the speed of Florida will match up well, and I think Florida has a real chance to pull this one off. Here is ESPN's central place for game info. Most of the naysayers cite Florida's "weak" running game, but Florida managed to amass 2,000 yards rushing this year. Although they have no specific star runner, they can get the yards that they need. I like having many weapons. 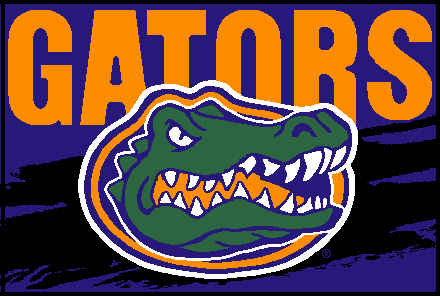 It almost hurts me to say it- Go Gators! Hey Joe, have you seen the movie "Big Trouble"? I'm pretty sure you were made fun of in it. But I admire your loyalty. Go Gators!